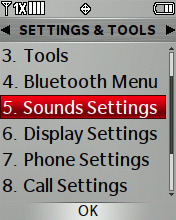 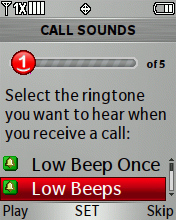 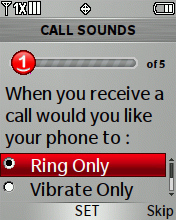 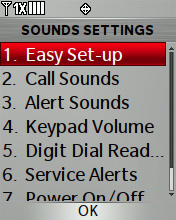 Select the desired Call Sounds then press OK to choose Set. 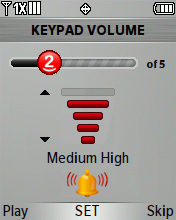 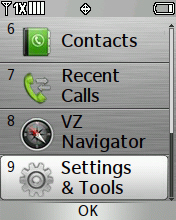 Select the desired Keypad Volume then press OK to choose Set. 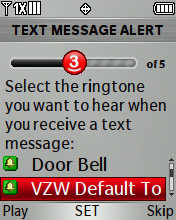 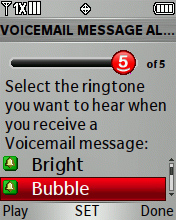 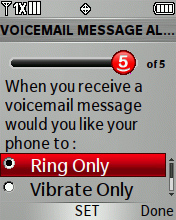 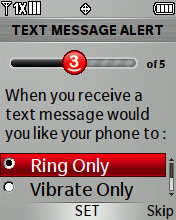 Select the desired Text Message Alert then press OK to choose Set. 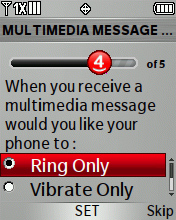 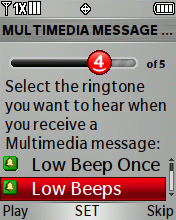 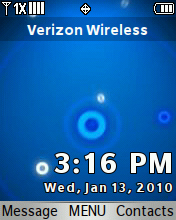 Select the desired Multimedia Message Alert then press OK to choose Set.